CRASHARKI has started a donation pool! You guys know I never ask anything for my models, apart from credit. So if you want to thank me giving me points for a Core Membership, which will do my Deviant page a lot better, you are free to do so. Mar 18, 2017 MediEvil Resurrection Rip-List COMPLETED! Nov 30, 2016 Crash Mind Over Mutant Rip-List COMPLETED! Nov 7, 2016 Crash of the Titans Rip-List COMPLETED! Oct 20, 2016 Crash Tag Team Racing Rip-List COMPLETED! 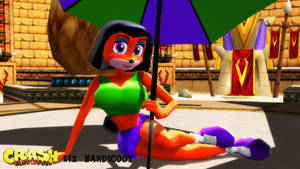 If you are looking for Crash Bandicoot Models, Spyro Models, Medievil Models, Nicktoons Models and Ape Escape Models, you are in the right place! I personally use 3ds Max for everything. My name is CRASHARKI, so don't refer to me as "Crash", please, because that usually makes things confusing, and I don't think CRASHARKI is such a difficult or long name at all. Before asking a request check the "Full Ripping Games List" journal. I DON'T PORT MODELS IN GENERAL! I've received complains from some people for not ripping some games in particular, so here's a poll, tell me which option do you prefer the most, 10 votes in total to consider this poll valid. If you give any particular reason to why you want a specific game, it will be taken into account. ONLY WATCHERS ALLOWED TO VOTE! 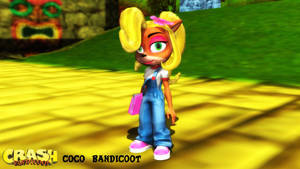 -Go back to Crash Bandicoot The Wrath of Cortex. 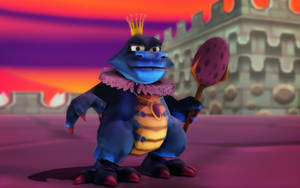 -Keep ripping from Spyro Enter the Dragonfly. 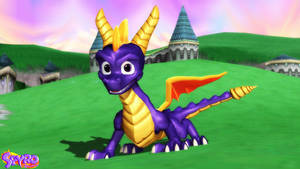 -Go ripping from Spyro A Hero's Tail. 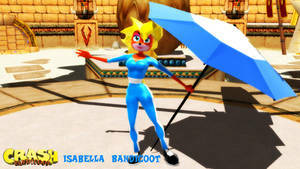 -Banjo-Kazooie Nuts & Bolts: Not possible at the moment. -I can't rip from PS2 games unless there's a editor or similar, or a Gamecube/PSP version. Crash Mind Over Mutant Rip-List COMPLETED! Mind if I give you some facts about the CNK Karts? Did you know that the Bosses' Kart's Front fan and side rockets move, the pistons pump up and down and the bottom rocket moves side to side? When the Team Oxide, Cortex and Trance karts enter their anti-gravity modes, Look closely at the animations. Besides the exhaust pipes moving, wheels rotating 90 degrees and releasing tesla coils (like Team Bandicoots), The rear fins on the Oxide Team kart rotate along with them, the engine block on the Team Cortex kart opens up and the triangle on the Team Trance Kart spins! Each racer (except for the bosses) has their own idle and big air animations! Here's some gameplay I dished up and you'll see what I mean. Say, would you be able to rip racetracks from CNK. 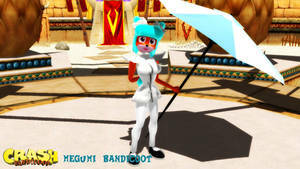 I'm planning to make a classic mod for CTR Nitro Fueled, which is predicted to have CNK content as well. Thank you for the points donation! Appreciate it! 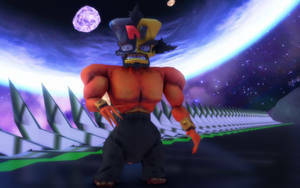 Can you rip N.Gin Ship from twinsanity ? 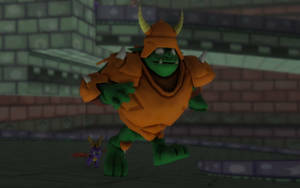 When are you going to finish the Spyro Enter the Dragonfly models? need disney models. keep going! Thanks a ton for all your help and for uploading such quality models. You've made things quite a bit easier when it came to the Crash, Spyro, and Nicktoons models I've needed to port. Sadly I didn't make something for you this year since I been busy with stuff but I can hopefully get you a b-day poster later today!